This innovative textbook provides a readable, contemporary and fully integrated introduction to endocrine glands, their hormones and how their function relates to homeostasis. It explores the pathology of endocrine disease by relating the underpinning science through a wealth of clinical scenarios and examples. 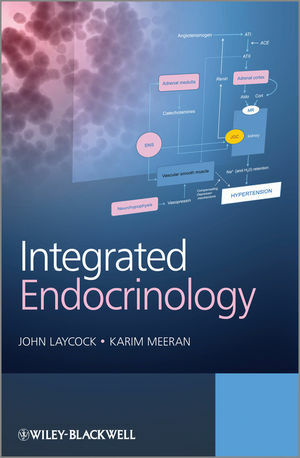 The book integrates basic and clinical aspects for a range of endocrine glands and their hormones and includes a number of specialist chapters that also address areas of intense research and clinical interest including the regulation of salt, appetite and endocrine-immune interactions. Provides a fully-integrated, scientific and clinical introduction to endocrinology. Includes a wealth of colour illustrations to reinforce key concepts. Introduces clinical scenarios and leading questions to engage interest and illustrate the relevance of the underpinning science. Includes key references and suggestions for further reading at the end of each chapter. Written by a highly respected and experienced author team this new textbook will prove invaluable to students needing an original, integrated introduction to the subject across a variety of disciplines including biomedical science, pharmacology , bioengineering and pre-clinical medicine. Professor John Laycock, Division of Neuroscience and Mental Health, Faculty of Medicine, Imperial College London, UK. Professor Karim Meeran, Division of Investigative Science, Faculty of Medicine, Imperial College London.